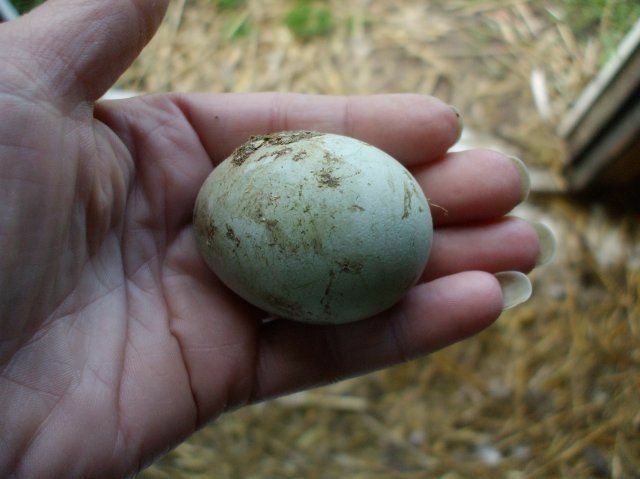 Hi, my name is jennifer, i just started raising chickens last year, this is my first egg, i found it on the ground outside of the coop, kind of dirty. 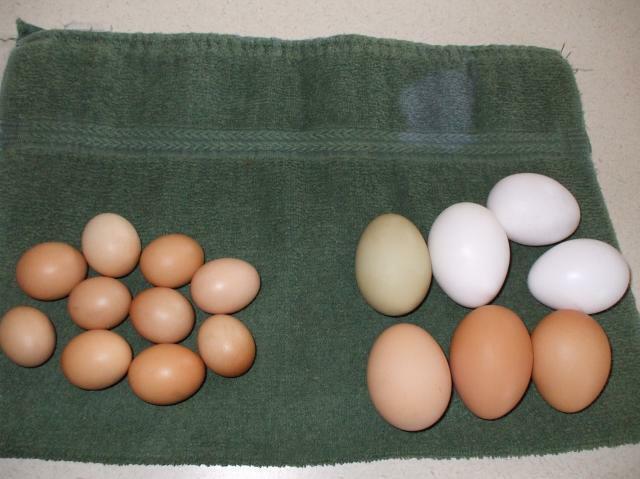 I have 22 hens, americanas and leghorns, and i also just got 2 turkins from my neighbor, I've been getting alot of eggs, 279 for the month of febuary. Now i just got 5 ducks, 2 mallards and 3 pekins, the pekins are a week old, the mallards are a few days old. For the last couple of months i've been getting tiny eggs (CHECK THEM OUT)i have about a dozen and a half, they have no yolk in them, what do i do with them?